With the purchase of any air duct cleaning service. 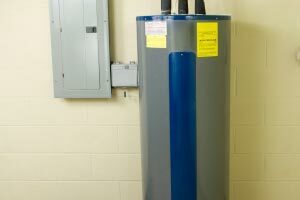 Save energy and extend the life of your water heater. Most people never give their gas water heater a thought. Modern water heaters are very reliable, providing ample hot water without making a sound or causing us to think about them. Neglecting this important appliance, though, can shorten its life, leading to the need for premature replacement and poor efficiency. With proper care, your water heater should last 12 years or longer. If you neglect it, though, you may have to replace it after as little as five years. Slow water heating and too much time to reheat after showers. Failure of the heater’s burner to light. More savings on our affordable services with coupons. As the leading duct and vent cleaning company in the Twin Cities, our technicians are trained to properly clean the combustion area of your hot water heater. Doing this regularly prevents problems like those listed above, and can prolong the life of this essential appliance. Other maintenance chores you can do that will extend the life of your water heater include draining sediments every six months and replacing the anode rod every five years. You can do these chores yourself or have a plumber do them for you. Lower the thermostat setting – Lower your water heater’s thermostat to 120 degrees. It will save money and prevent scalding. Add insulation – Install a wrap-around blanket from your home supply store and save on energy costs. Insulate pipes – Insulate the first 6 feet of the hot and cold water pipes from the heater to cut down heat loss and to save energy. Flush sediments – Flush out sediments inside your hot water heater by draining a gallon or so of hot water from heater drain valve every three months or so. You’ll get more hot water and it will heat faster. Our Minnesota top-rated air duct cleaning company services a wide range of home appliances. We can handle many of your most difficult cleaning chores that require specialized equipment and unique skills. When you combine additional services with duct cleaning, you can take care of often-neglected jobs and save money at the same time. For over 25 years, homeowners across the Twin Cities rely us for top-notch, affordable services, from Lakeville, Eden Prairie, Bloomington and Edina to Roseville, Andover, Champlin and Brooklyn Center, and from Woodbury, Cottage Grove, Maplewood and White Bear Lake to Minnetonka, Plymouth, St. Louis Park and Golden Valley. Contact us today do ask about any of our services or to schedule a cleaning of your air ducts or other systems.